This post is a one-stop shop for everything you need to know on “How to Start a Blog with Siteground that makes Money”! Set up your website using my step by step Tutorial in just 10min or watch the Video Tutorial. How to start a Blog – Video Tutorial! Start a Blog – Step by Step Guide! Transfer your existing Website to Siteground? What to do before you Launch your Blog? 1. 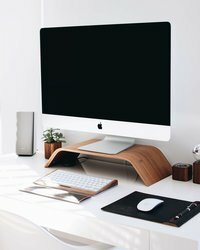 Why should you start a Blog? You can start a Blog for many reasons: As a hobby, a side hustle or as an addition to your business. There are really endless things you can do with your website which is hands down my favorite thing about blogging. Creativity ????‍???? : It’s a place where you can free your creativity and make your dreams become reality. I know this sounds soppy, but it has been so true for me. Extra Income ???? 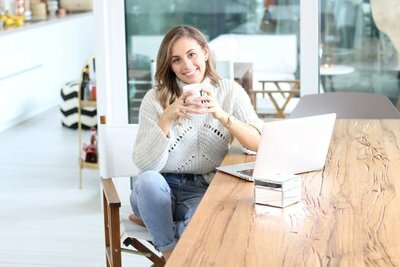 : Blogging has allowed me to work from home and make a living with what I feel most passionate about – Digital and Social Media Marketing. I know you are passionate about something too, why not make a career out of it? Selling your Product ???? : Your Blog can be where you sell your products to customers, introduce your readers to your business and provide additional value through for example product reviews or tutorials. Community ??? ?‍♀: Your Blog can be a place where you share your thoughts on what you are most passionate about in life. This could be building a community of like-minded people or helping others with your expertise and knowledge. Before I go into the Step by Step Tutorial on “How to Set-Up your New Blog”, I want to clarify three points where I notice a lot of confusion from Newbie Bloggers. A running Blog which you can monetize is made up of three things, your 1) Domain Name, 2) Hosting and 3) Content Management System (CMS). Alright, don’t freak out! You can set up these three things together in 10-15min! I am covering it in the tutorial below! “Hosting” is where your Blog is stored. Your Blog needs to be stored somewhere on an external hosting provider and on its server. This is called self-hosting your Blog and will be crucial if you want to monetize your Blog in the future. Free website hosting is a BIG No-No my friend! My Blog is hosted on Siteground. Free Sites: WordPress.com, WIX, Weebly, Blogger. Self-Hosting: Siteground, Bluehost. Get Hosting Here! Your “Content Management System (CMS)” is where you create and design your Blog: Your CMS is the program/application which is used to manage your content, and which allows you to create, edit, publish and design your Blog. Popular CMS: WordPress, Joomla, Drupal, Squarespace, Shopify. My Blog CMS is WordPress get it Here! 3. How to Start a Blog – Video Tutorial! 4. Start a Blog – Step by Step Guide! 1a) StartUp Plan $3.95/mo. The StartUp Plan is absolutely great if you are new to blogging. I want to stress that you are not making a mistake if you choose this plan. Yes, if you have the extra money to spare go with the GrowBig or GoGeek plan but if not you will be happy with this hosting plan! Get the StartUp Plan Here! 1b) GrowBig $5.95/mo. I would personally recommend going with the GrowBig Plan or the GoGeek plan if you have the funds to invest the extra money. You get a lot more for your money such as unlimited Website hosting and a free website transfer if you are currently with a different host than Siteground. Get the GrowBig Plan Here! 1c) GoGeek $11.95/mo.I am using the GoGeek plan for my Websites. My Blog is my biggest source of income and therefore a central part of my business. Personally, I am happy to make this investment and it gives me the best foundation to grow my Blog and Business in the future. On top of all the StartUp and GrowBig features below! Get the GoGeek Plan Here! In the next section, you can choose Extra Services Siteground provides for your Blog. I would personally recommend you to buy the Domain Privacy to protect your personal information. However, these are all extra services and you will be fine without choosing any of them. Please make sure that if you are registering a new Domain, that the first tick box “Domain Registration” is ticked off. > Log in to your new Siteground Account here! Yey, we have successfully set up 2 out of our 3 Blog Pillars – your Domain and your Hosting! Now we need to install our Content Management System (CMS). There are two ways to install WordPress as your new CMS for your Blog. 5a) Option 1 (recommended): Open up the Support Chat and let Siteground set up WordPress with you. You have successfully set up your new Blog! 5. Transfer your existing Website to Siteground? Maybe you already have an established Blog and Domain, but you are not happy with your Hosting. This can have any reason such as bad Support, a slow Website or a lot of technical issues and downtime. There are a couple of options how to transfer your Site to Siteground but personally, I would choose Sitegrounds GrowBig or GoGeek plan, and then let Siteground transfer your site from a different host to them for you! I mean Yes, Please…. > Step 5a similar: Open support ticket or chat with them and let Siteground know you would like to move your site from a different Host to them. IMPORTANT: Siteground will only transfer your Hosting and not your Domain. If you would also like to move your Domain to Siteground this post might help HERE. 6. What to do before you Launch your Blog? After you have successfully started your Blog here, there are a few things I would like you to do Before you Launch your Blog. I know, I know. Now that you have finally set up your Blog and I get it it’s all techy, you finally want to start creating content and being super creative. Nevertheless, I urge you to check out my post on the “7 most important steps before you launch your Blog”! I promise it’s a quick read and there are a ton of helpful information which will help you make no mistakes you will have to pay for in the future! There are many amazing ways to monetize your Blog but just to clarify this is only possible when you have a self-hosted Blog. Hence, the tutorial above. Self-hosting your Blog gives you unlimited possibilities to change the look of your blog, include ads or turn it into an online store. My favorite ways of monetizing a Blog are Affiliate Marketing, Sponsorships, Ads, Selling online Courses or physical Products, Coaching, Virtual Assisting, Consulting or by Paid Access to a Community. I am in the process of writing a detailed post on why I switched from Bluehost to Siteground and why I believe you should too. But, I just wanted to go into my reasons for switching in this post as well. Also, this is my personal perspective and for sure not everything was bad with Bluehost. Personally, I am just looking for the best option to grow my business and the switch was a long time coming. Here are two of my most important reasons why I switched from Bluehost to Siteground. First of all, my website got hacked and when I noticed it and informed Bluehost about it, they first and foremost (without any warning by the way) shut down my website instead of helping me! It took 2 weeks to get the site back up and running. Second of all, I paid an SEO expert to check my code and site. The idea was to optimize my site in the best possible way for Google and improve my site loading speed. Even though this paid service was able to speed up my site, Bluehost, in general, is a very slow host and gives you fewer possibilities to improve your site optimization. As an FYI, I am not saying don’t use Bluehost! Make the decision which is best for your business and you can get a really good deal and get hosting for about $2.95/mo which is less than with Siteground. I have written a Tutorial on “How to set up your Blog with Bluehost” you can check out HERE. Personally, though, I am happy to have moved to Siteground. Let me know if you have any questions on Siteground or how to set up your new Blog in the comments below! I love to help you out and walk you through the process! Or is there anything you are still asking yourself after reading the post? Let me know and I will add a dedicated section to this post! PSS: This post is part of my Free Mini-Course on “How to Create a Successful Blog”. It includes a ton of information about Branding your Blog, Growing your Traffic, Making Money Online and Setting up your Email Marketing. If you want to go to the Free Mini-Course “Overview Page” head there over here.